A beautiful all white design arranged in a glass swirl vase. 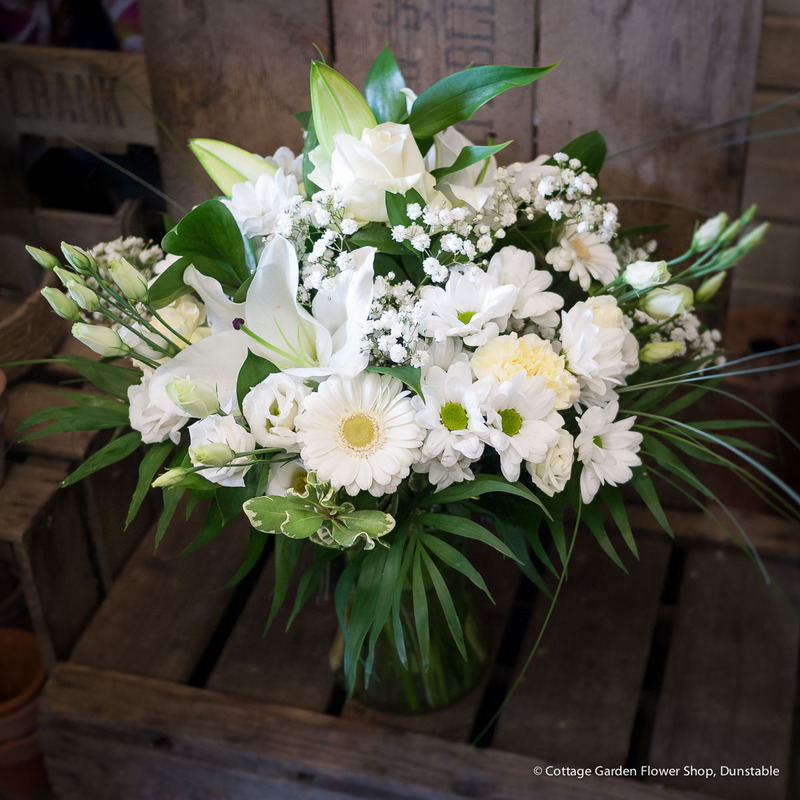 Example shown contains lilies, rose, lisanthus, germini, chrysanthemum and gypsophila with lush green foliage. Flower varieties may vary slightly according to availibility. Collection or local delivery only. Vase is included.